Ubisoft’s latest action-adventure game Assassin’s Creed Odyssey is giving other games tough competition in the market. For the first time in this game series, players can choose their character gender at the beginning of the story. In AC Odyssey, users can either select Alexios, a demi-god or Kassandra, a fierce warrior to play with. Interestingly both of these characters turn out to be siblings later on. So, it does not matter which one you choose, storyline is more or less the same. Another brand-new feature for the series is that Ubisoft has introduced role-playing genre for the first for any Assassins Creed game. You get to take decisions that will define your path during story line. Certain choices will affect your game experience. But irrespective of the character’s gender, there is a lot of character customization given in the game. You can choose the appearance of your mercenary from multiple choices in different sections i.e. arms band, chest, helmet, legs and shoes. 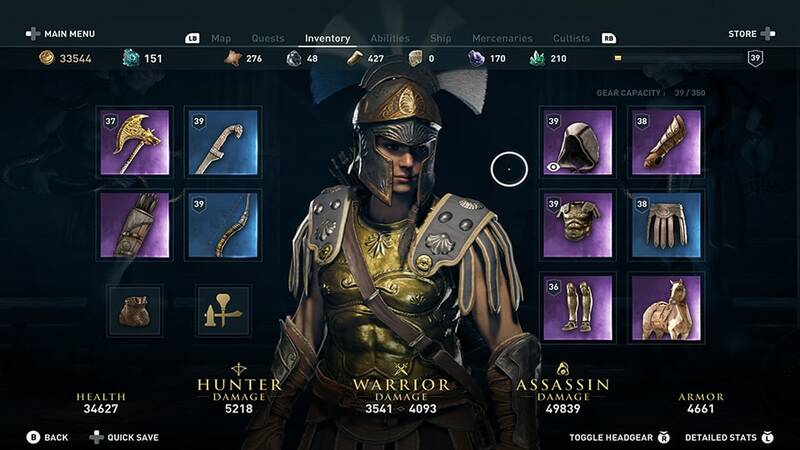 Here is a guide for you if you want to personalize your character in Assassins Creed Odyssey. Right now, character’s looks can be changed only by altering the armor. So, your equipped armor will define your character’s appearance. Suppose you have a Spartan helmet equipped with basic chest, then that is how your mercenary will look. On the bright side, Ubisoft has announced that they will introduce an update that will not only increase the level cap but will also allow players to select different attires (one for visuals, another for strength) at the same time. As each armor possess different forte, you might want to be careful for not sacrificing too much health/armor on mere looks. And during the cuts scenes, your character whether it is Alexios or Kassandra, does not wears helmet. Rest of the armor remains equipped. It just a thing Ubisoft has perhaps added to make the expressions uncovered during conversations in the game. Right now, you cannot change your character any other way in the game. But there is a catch, if you like the looks of a low-level armor, you can simply visit any blacksmith shop and have it upgraded. Of course, the legendary tier will cost you the most for upgrade. In fact, we would suggest that you only consider to upgrade rather Epic or Legendary items because others are just not worth it. But it is entirely up to you.